Fault: The door is jammed. Fix: You can put some lubricant on the door and its moving parts, including the springs, the cables, the tracks, and other parts. Fault: Garage door opener doesn’t work. Fix: You can check the moving parts and see where the problem is rooted. Is it from a broken spring or misaligned tracks? Usually, you only have to clean off the dirt from the parts and put some lubricant so they will have ease moving as you start up with the opener. Fault: The door does not open with the remote. Fix: Put fresh batteries on your remote controls. If that did not work, check the condition of the motor. Make sure that it is plugged in properly. Do a routine check on the fuse, GFCI, and circuit breaker as well. You need to be sure that the electric connection is fine. Fault: The door has difficulty closing. Fix: If your automatic garage door is not closing properly with a remote click, try to adjust the close limit switch. Fault: The door would only open halfway. Fix: This is a common problem for steel and glass garage doors. Usually, this is resolved if you will adjust the location of the limit switch. You can move it closer or farther from the motor to eliminate the issue. 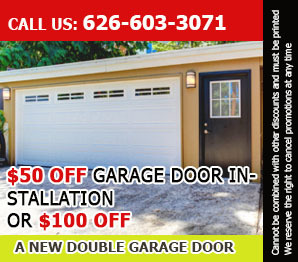 If none of your first line of fixes works and you suspect that the problem might be bigger than your ability, then, it is time to consult garage door repair Covina. A garage door specialist comes in handy when the solution requires expert knowledge and skills.